Click on Prezi Classic to login to Prezi. See you teacher for the login details. Double click on any frame to access the toolbar feature. Change the theme colour of the page by clicking on the tab beside the square. 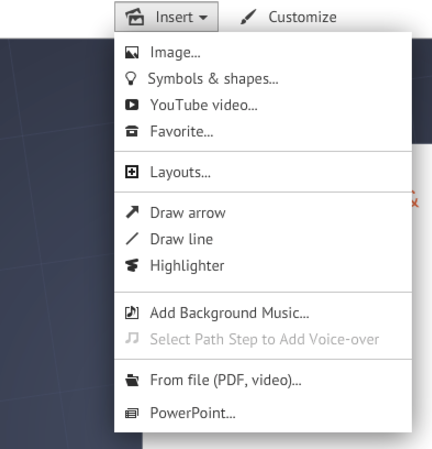 At the top of your canvas there is an insert option. Click on the drop down menu to access all the available features. You can choose frames to add new sections to your Weebly by clicking in the top left of your page. Don't forget to use the undo button at any time. It's the highlighted arrow in the picture below. At the top of your canvas there is a present option. Click that at anytime to watch your Prezi. 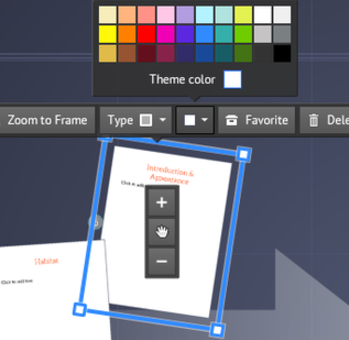 Click escape to exit presentation mode. Make you exit when you finish your session and your Prezi will save and close. 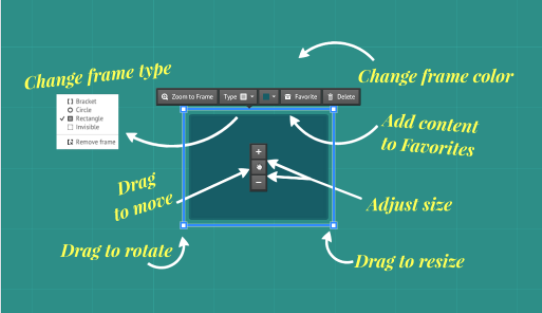 To rotate a frame hover over the corner and a circle will appear, allowing you to rotate it. You can see the circle below on the right. 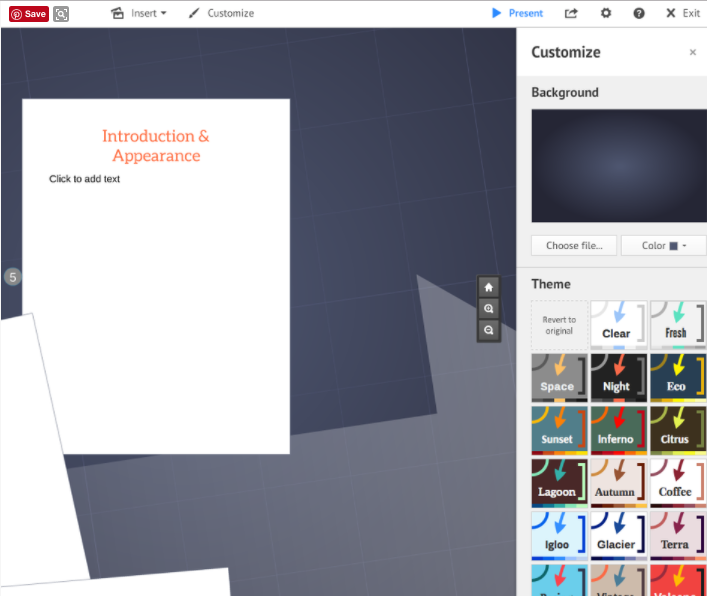 By clicking customise at the top of your canvas you can choose a new background and theme colour. Options appear on the bottom right of your page.